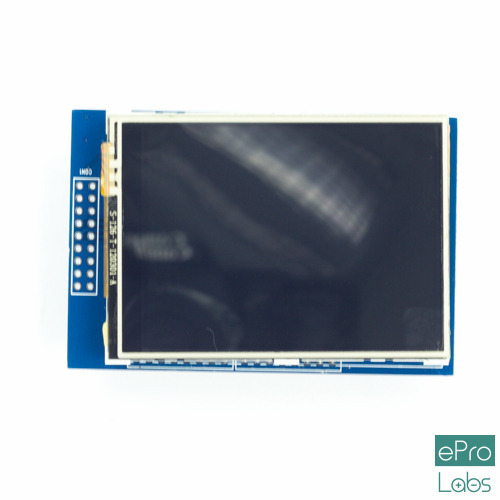 Our product range includes a wide range of 2.8 Display Touch Screen Inch TFT LCD Module, OLED Display, OLED 0.96 White I2C Module, LED Dot-Matrix Display, LCD16X2 and LCD 20X4. A Thin-Film Transistor Liquid Crystal Display known as TFT LCD is a display screen made with TFT technology that is,it has a transistor on each pixel of LCD that actively controls the elements of individual pixels.For this reason,it is also known as active matrix display.TFT is an enhanced technology comes from the family of LCD which offers well improved image quality and also consumes less power than CRT displays.TFT LCD's are commonly used in consumer appliances such as televisions,computer monitors,mobile phones,mp3 players,projectors. This display is made of 128×64 individual white OLED pixels, each one is turned on or off by the controller chip.No back-light is required since the display makes its own light which in turn reduces the power required to run the OLED. They are bright and easy to read with large viewing angle and also have high resolution.This can be used as a screen in Smart watches, MP3 players, Portable health devices, Smart Car camera monitor real time display. These displays are small, only about 1″ diameter, but very readable due to the high contrast of an OLED display. This display is made of 128×64 individual white OLED pixels, each one is turned on or off by the controller chip.No back-light is required for this display because it makes its own light which reduces the power required to run the OLED.It needs only 2 I/O Port to Control,since the display uses IIC interface. A Dot-Matrix Display is a display device which contains light emitting diodes aligned in the form of matrix.This Dot matrix displays are used in applications where Symbol, Graphic, Characters, Alphabets, Numerals are need to be displayed together in static as well as Scrolling motion.Dot Matrix Display is manufactured in various dimensions like 5×7,8×8,16×8,128×16, 128×32 and 128×64 where the numbers represent LED’s in rows and columns, respectively.Also these displays comes in different colors such as Red, Green, Yellow, Blue, Orange, White. LCD (Liquid Crystal Display) screen is an electronic display module and find a wide range of applications. A 16×2 LCD display is very basic module and is very commonly used in various devices and circuits. These modules are preferred over seven segments and other multi segment LEDs. The reasons being: LCDs are economical; easily programmable; have no limitation of displaying special & even custom characters (unlike in seven segments), animations and so on.It can display 16 characters per line and there are 2 such lines. In this LCD each character is displayed in 5×7 pixel matrix. LCD (Liquid Crystal Display) screen is an electronic display module and find a wide range of applications. A 20×4 LCD display is basic module and is very commonly used in various devices and circuits. These modules are preferred over seven segments and other multi segment LEDs. The reasons being: LCDs are economical; easily programmable; have no limitation of displaying special & even custom characters (unlike in seven segments), animations and so on.It can display 20 characters per line and there are 4 such lines. In this LCD each character is displayed in 5×7 pixel matrix. TM1637 display is a 4-digit seven segment display.TM1637 is a chip which is used for driving the 7-segment display.This display module uses I2c interface.TM1637 has finds its applications on Digital Clock,Programmable Timer,Digital Thermometer,Decimal Counter,Stop watches. IIC/I2C Interface Adapter Module is used for 16×2 LCD Display.It uses the PCF8574T IC chip which converts I2C serial data to parallell data for the LCD display.Also this interface module simplifies connecting an Arduino to a 16×2 Liquid Crystal display using only 4 wires. MAX7219 display is a 8 digit seven segment display module which is based upon the Maxim MAX7219 LED display driver.It uses two standard 4 digit seven segment displays to display a total of 8 digits in RED with decimal point.The MAX7219 are compact, serial input/output common-cathode display drivers that interface microprocessors to 7-segment numeric LED displays of up to 8 digits or 64 individual LED’s.This displays are used in Bar graph displays,Industrial controllers,Panel meters,LED matrix displays.